The medium duty DH Self-Dumping Forklift Hopper is designed for various material handling jobs including construction, waste management, sanitation and more. 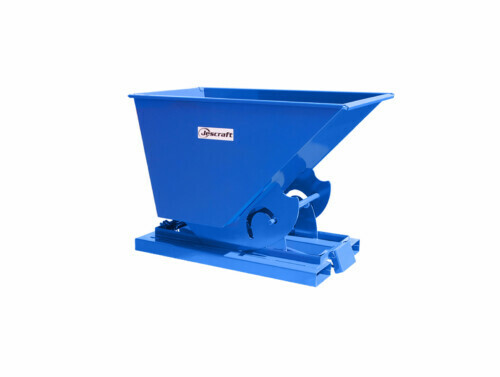 Constructed of heavy-duty 10 gauge steel, this all-welded hopper is built for lasting strength and durability for handling bulk material or debris. Get the convenience of dumping a load from the seat of a forklift with the bumper release or manual release cable. The bumper release is activated when the bumper is positioned to come in contact with the receiving container, triggering the dumping action. Or, the operator can pull the 50″ extended reach release cable, releasing the spring-loaded latch triggering the dumping action. 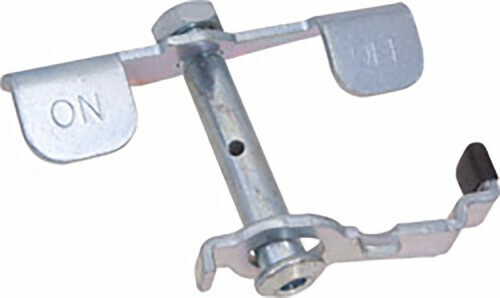 The spring-loaded latch secures the hopper in the upright position for filling. Once the latch is released, the hopper rolls forward to empty debris. When empty, the hopper automatically rocks back to upright and locked position. 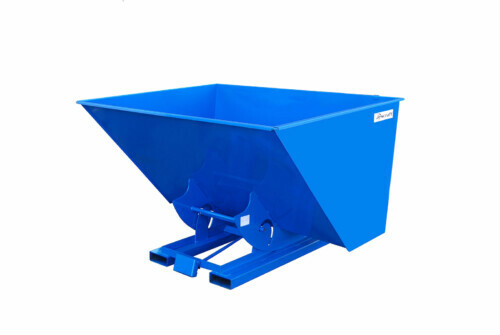 All hopper units include a safety chain to secure the hopper to the forklift. Useable forklift pockets (8″W x 3″H) are on 27.5″ centers. 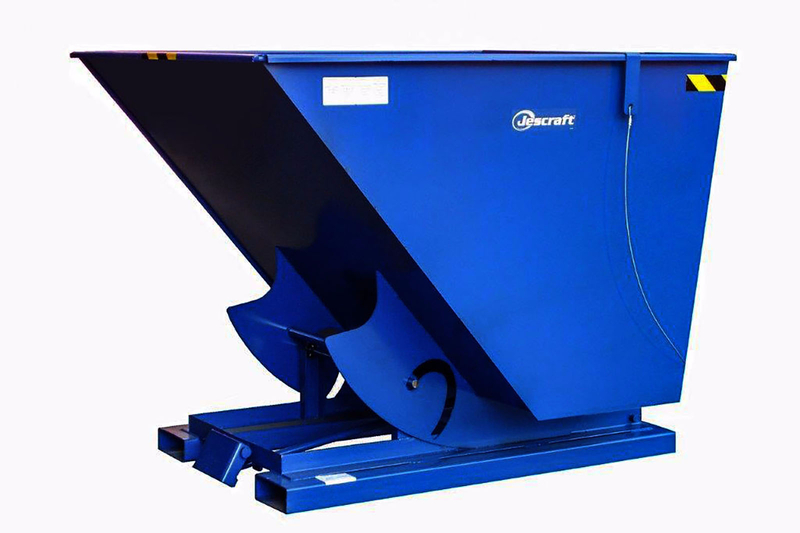 Caster options are available to increase the mobility of this hopper on the jobsite. CAUTION: The hopper must be attached to forklift when dumping. OSHA requires contacting the manufacturer of your forklift to request specifications for the use of any forklift attachments to ensure your equipment has the adequate capacity to handle the desired load. Refer to your forklift operator manuals for more information.